Giving visual and spatial form to big societal ideas can be a designer’s greatest challenge. But in an era when so many of those ideas are shaped by digital technology, how do we transform forces that are inherently invisible and make them visible? Designing meaningful architectural and urban form is a big problem when faced with a near endless array of disruptive new technologies all as amorphous as, say, the Internet of Things. There are, however, precedents from other disruptive eras in the history of architectural and urban design that can help steer us through our own changing times. Here are two examples from a search for city-design best practices. 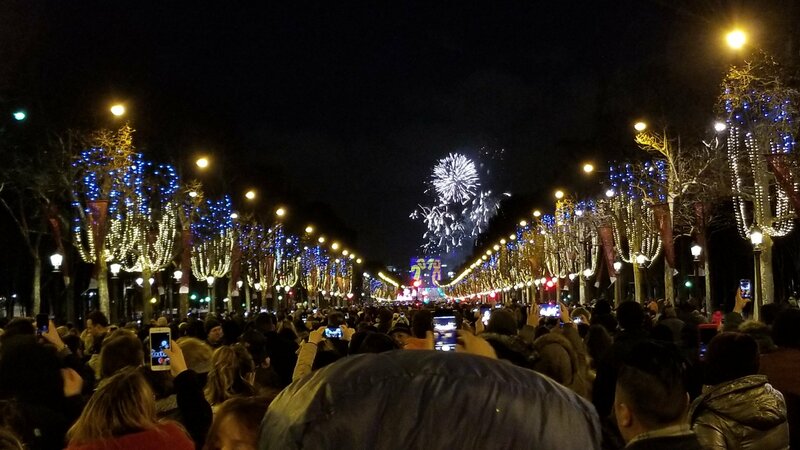 The Champs-Élysées in Paris on New Year’s Eve—a bucket list life experience—is a starting point. This year our work schedule took us to Paris and meant we could be part of it. That night hundreds of thousands of people packed the avenue from the Arc de Triomphe down to the Place de la Concorde. All those people made the wide boulevard a river of movement while, in turn, the street edges gave shape to their experience—including the thousands of champagne toasts at midnight. Champs-Élysées in Paris on New Year’s Eve—one-half a million smart phones illuminate the night sky. Haussmann’s reorganization of Paris is a singular act of design transformation that is unparalleled. He took a medieval city, and using the nascent—not to mention abstract—powers of new politics, engineering, and capital turned it into a modern, functional metropolis. Tens of thousands of much-needed housing units were added to the city. New sewers and civic infrastructure brought fresh water in and piped sewage out. 137 kilometers of roads shaped Paris into what some Impressionists saw as a vortex of new movement. Where stale containment had been the norm the modern transit city was born. That’s design that creates meaning whether you embrace Haussmann’s meta-frame or not. The project assembled complex, disruptive forces ripe with form-making potential and knitted them together in an example of synergistic design that predates Buckminster Fuller. Is there a similar macro-shaping opportunity to be found in the disruptive forces new digital technology brings to cities? I’d say yes. But the 21st C. digital city isn’t just about increasing physical efficiency using new technologies. It’s about empowering a citizen’s cultural experience too. 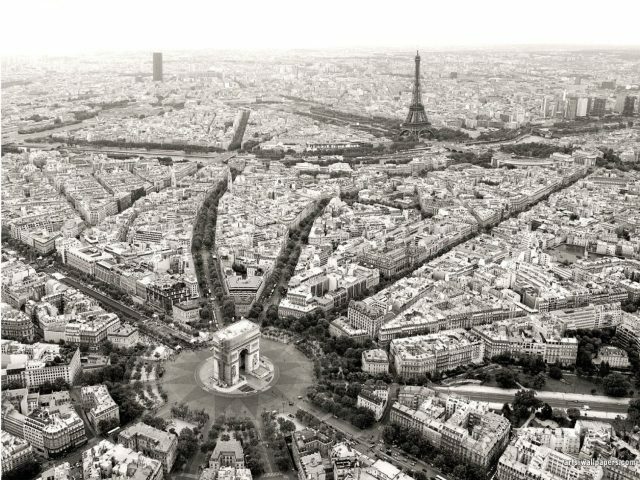 Since Haussmann embodies 19th C. engineering design thinking in Paris, what 20th C. cultural design concepts explored there might also inform today’s digital city? 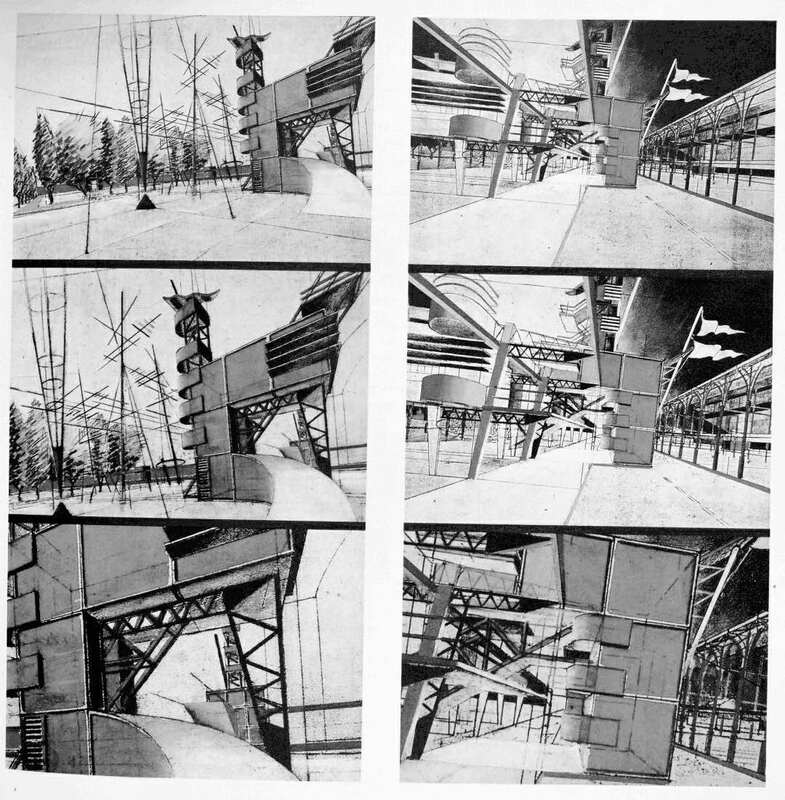 If Haussmann is the macro reference for the shaping of Paris’s physical dimension, then the 1980’s era Parc de la Villette is the micro reference for the cultural. Only in Paris could a 55 hectare development be called micro but scale matters and Villette re-imagined a small slice of the city once dedicated to stockyards. I’d never been to architect Bernard Tschumi’s park before. It was built while I was an architecture student. Its Derridaesque deconstructionist leanings influenced thousands of studio projects back then. Geoffery and Susan Jellicoe’s seminal book Landscape of Man, revised just after the project started to include the park, speculated that it would take twenty years before any meaningful critique could be made of the project. I arrived there thirty years after their prediction. Am I critical of the project? Yes, and no. The overarching parti of “points, lines, and surfaces” is effective. The serpentine cinematic promenade gets lost. The individual follies remain in surprisingly good shape, continuing to do their job as conceptual touch points in spite of sometimes being relegated to tertiary maintenance roles. Park managers seem to struggle with keeping up visitor interest even with the massive Museum of Science and Industry acting as the park’s main visitor anchor. To reference more traditional park uses, at Villette’s south entrance they’ve added a small amusement park with carousel rides. Unfortunately, those rides frame a visitor’s first experience with the antithesis of Tschumi’s vision. And to further confuse the intent, at the southeast corner is the controversial (2015) Paris Philharmonic Hall by Jean Nouvel about which the less said the better (and Nouvel has long been one of my favourite architects, just not here). Culture is inherently complex though. And the typological usefulness of the park is in its ability to empower so many cultural experiences without its design being overbearing. That’s hard to achieve while also retaining design coherence. Tschumi’s design manages it. As a strategic approach it can help us conceptualize solutions to urban and architectural problems that, in effect, have no formal end condition—like those of the digital city. So if we take Haussmann’s civic engineering Paris and fuse it conceptually with Tschumi’s cultural Paris, does the mashup throw off sparks that allow designers to illuminate the murkiness of digital cities? Yes it does. I’ve chosen these two projects because they are well understood. I’m not engaging in an abstract academic exercise pitting say, semiotic theory against formalism. This is an effort to offer designers some useful strategies to take on the wicked problems presented by the digital city. While modern city designers will rarely if ever be asked to change the street grid of a major city the way Haussmann did, digitally empowered designers may well reinvent mobility in cities. Uber and Lyft are just crude, nascent forms of how mobile devices in meshed systems can disrupt traditional ways of urban travel. We’re not yet at the Haussmann stage where today’s engineering, capital, and politics have gelled enough to support a grand design that reflects the zeitgeist of our age. But we’re closer than you think. Part two of this essay explains how that might work. Stay tuned.